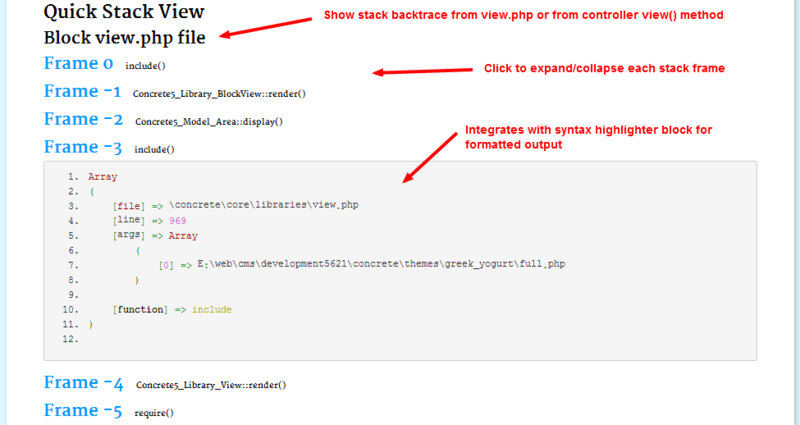 Important: The stack viewed is the php call stack - a list of classes and functions executed to get to the current point in the php code. This is not the same as a concrete5 stack. 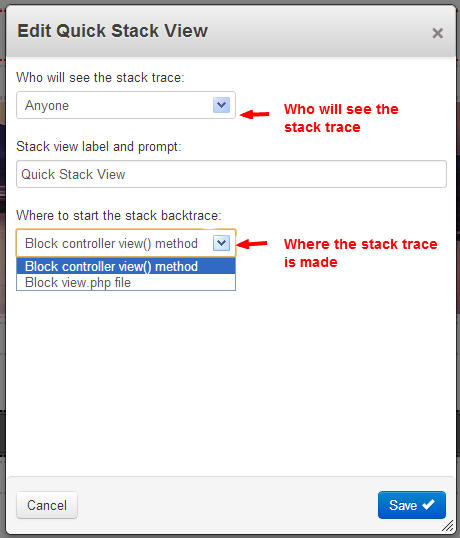 Developer tool to view a php stack backtrace by adding this block. Use it to help debug your own code or as a learning aid to see how concrete5 works. 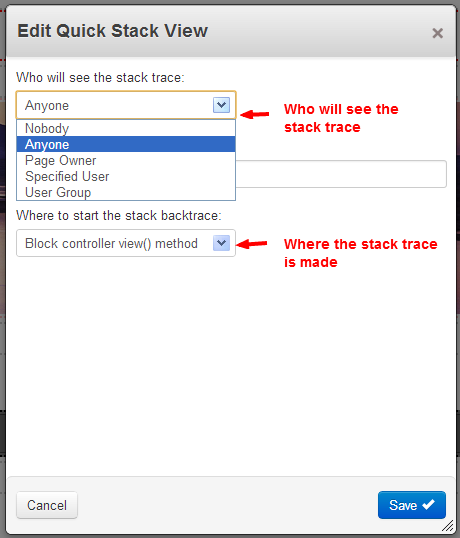 Backtrace formatting is provided through a concrete5 helper for easy inclusion in any block or single page as a quick diagnostic. Also includes an optional override for the core error_fatal.php element to provide Quick Stack View output to the fatal error diagnostic report.